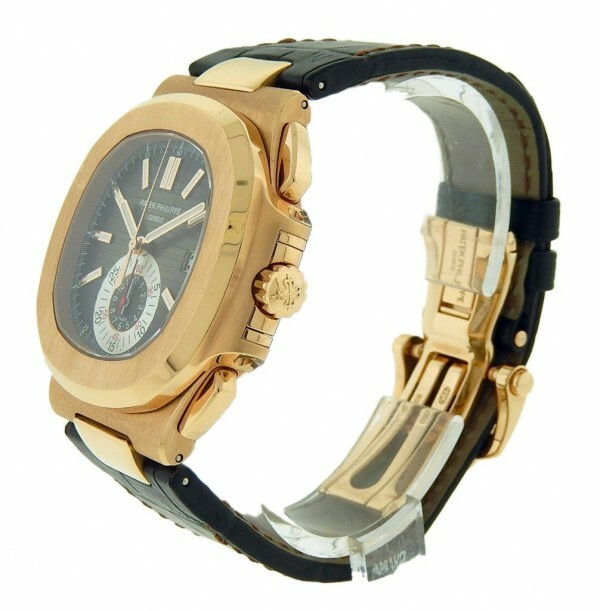 Own this beautiful world known timepiece. 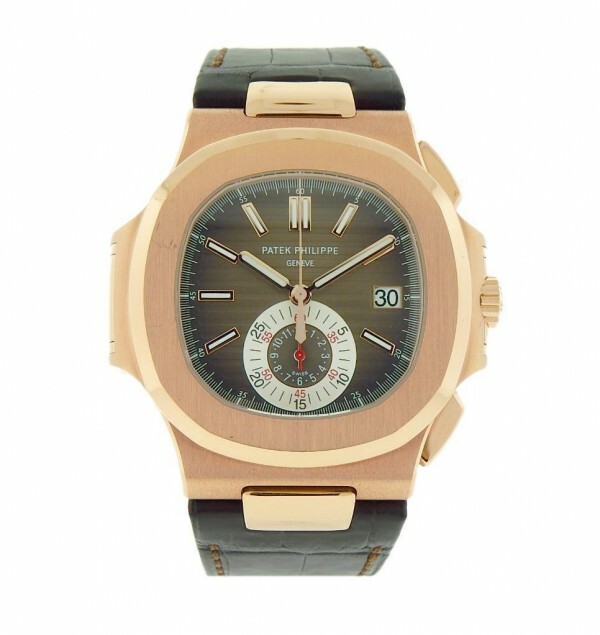 Presenting, this stunning Patek Philippe Nautilus 5980R. 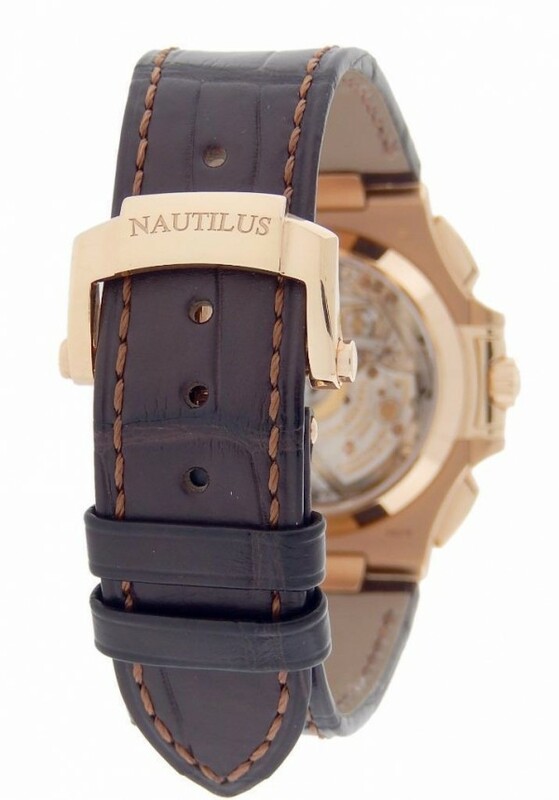 Watch has an 18k rose gold case and double fold buckle, with matt dark brown leather strap, with Black/Brown dial. Watch displays Time at 3 O Clock, with monocounter chronograph. 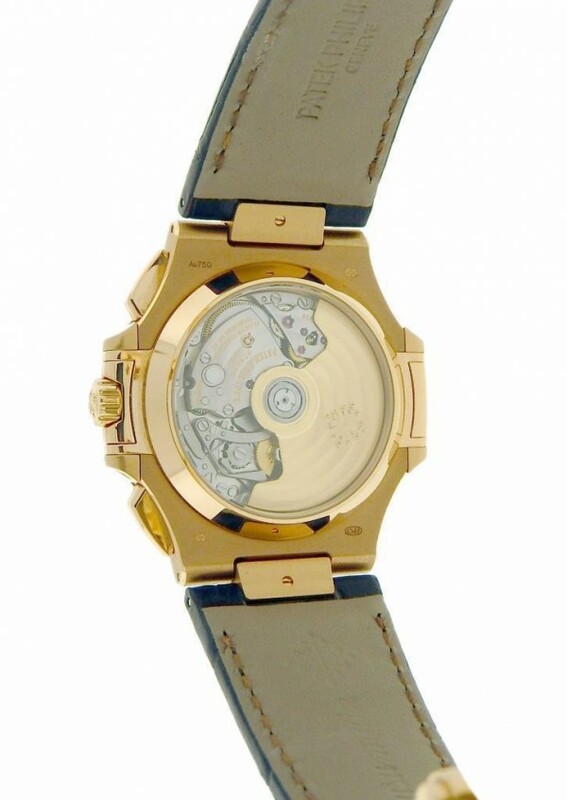 Watch shows gentle signs of usage and will be polished to look good as new upon purchase. Wear it in great health. Makes a great gift.